Document Notes: Request for Telex transmission of an apprehension order and the resulting Telex from Director, FBI to SAC San Francisco. 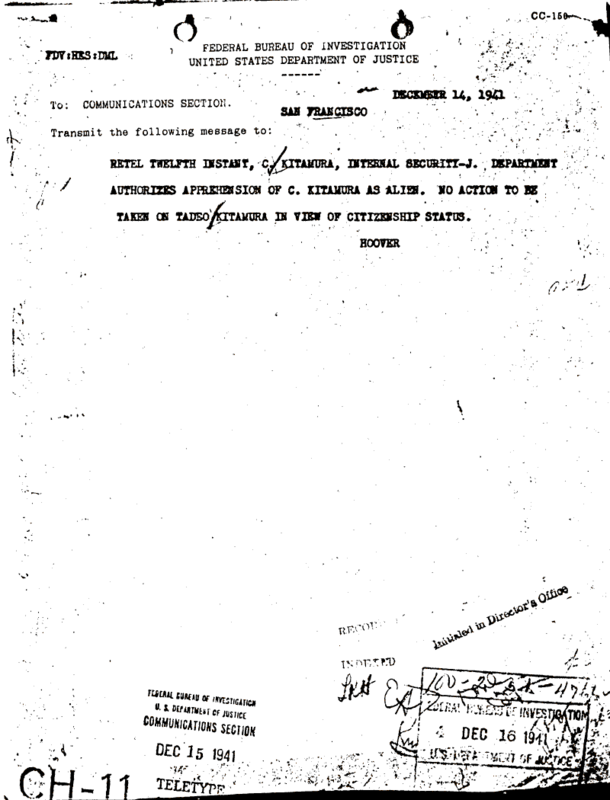 Note second sentence that directs no action be taken on a second individual because of his citizenship status. This is representative of the effort from the beginning to treat citizens differently from alien enemies.